Here at Nova Home Health Care in Fairfax, we’re passionate about providing excellent home health care to the residents of our area. Not only do we offer things like elderly companionship, we also have skilled nursing options such as RNs and LPNs, we offer speech therapy, physical therapy, post-surgery home care, and so much more. Do you or someone you know need excellent, compassionate, and trustworthy home care? Consider Nova. We pride ourselves on hiring the best and the brightest. Our staff members are not only great at the mechanics of what they do, they’re also great with people. That means that patience, gentleness, and integrity are all qualities that we strive for in all aspects of what we do. No matter if the person needing in-home care is elderly not, permanently or temporarily disabled, or recovering from a surgery or accident, Nova in Fairfax is here to help. Contact us today to learn more about what Nova can do for you and your family! 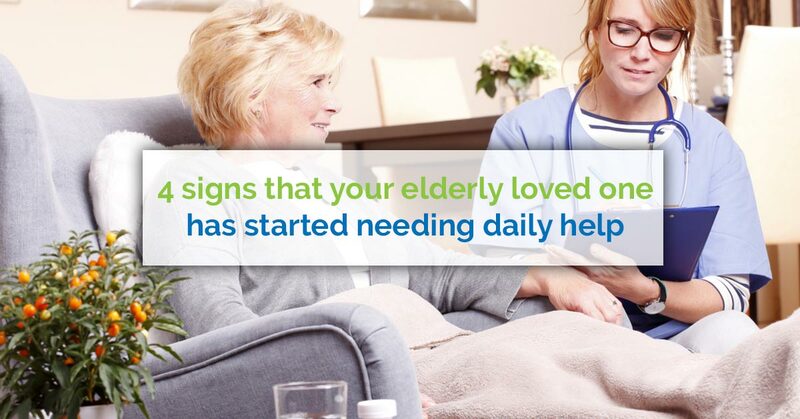 Though Nova helps people of all ages, from all walks of life, with all kinds of different injuries and ailments, we place plenty of Fairfax caregivers into homes in which an elderly person has begun needing help. It’s a stage that everyone reaches eventually; the step from complete independence to some form of partial independence can be tough to navigate, but it’s vital that we recognize it for what it is. This is a great idea in theory. However, when it comes to the actual execution of this system, many families find that it’s simply exhausting. If the burden of care falls on the shoulders of one person, that individual is often tired, irritable, and frustrated by the mental, physical, and emotional toll that caregiving is taking on them. Many times, family caregivers have to quit or scale back their jobs so that they can provide care. Additionally, when it’s all said and done, they often have nothing left for the rest of their family members. When it’s time to get in-home health care here in Fairfax, we highly recommend our services at Nova HHC. Not only does our homecare offer you relief from the exhaustion of caring for your elderly parent or loved one, we’re providing families with an improved quality of life. We also tend to form lasting relationships with the people for whom we care. It simply comes with the territory. Now that we’ve discussed the value of home health care here in Fairfax, let’s take a look at some of the most obvious warning signs that it’s time to reach out to us at Nova. When your elderly loved one who has been living independently starts to show signs of needing help, you definitely want to be aware. Whether your elderly loved one is dealing with Alzheimer’s, dementia, or simply significant memory loss, you’ll want to consider how this form of memory loss could affect their daily life. When it comes to living life in a safe and normal way, we’re all quite dependent on our memories. We rely on memory to find our way to the store, to remember if we’ve taken our meds, to recall how to work the lawn mower, and so much more. As you can see, when the memory starts to go, life for your elderly parent or aging loved one could become quite frustrating, difficult, and even dangerous. When you notice changes in what your older loved one can remember, it might be time to contact us at Nova HHC. There is a difference between having a bad day, being in a bad mood, and encountering significant changes in one’s personality. As we age, our brains start to react differently to stimuli and when our personalities start to show differences, it can often mean that something more serious is going on. Old age can mean that we aren’t able to do all of the things that we once did, we’re not able to remember everything that we once could, and we’re noticing tons of other changes. This can lead to a real sense of depression. In that case, it might not be the healthiest thing for your elderly loved one to remain alone. A little bit of companionship can go a long way to improve the happiness of an aging loved one. Contact Nova HHC to learn more today! As we get older, we start to become unable to care for ourselves in the same way that we’ve always been able to. This can be the result of a number of different changes. For one, our senses are not quite as sharp as they once were so we’re not able to notice when we need to bathe or shower. In addition to our slackened senses, we’re also not as physically able to care for ourselves as we once were. If you start to notice changes in the physical hygiene of an elderly person whom you care about, it might be time to contact Nova HHC for some professional in-home caregiving. It’s expected that as we age, our physical reactions aren’t quite what they used to be. Our muscle tone diminishes, our bones weaken, and our overall ability to endure physical exercise becomes more limited. Though some loss of physical ability is normal, it’s important to notice when your elderly loved one’s physical abilities start to limit their self-care or independence. Excessive shaking or unstable walking could present dangers for them that you don’t want them to have to walk through while living alone, If you notice any of these changes in your elderly loved one, it might be time to reach out to Nova HHC. If you’re ready to talk to a team professional home health care aides, contact us at Nova! We can provide so much more than just elder care; we offer skilled nursing, speech therapy, physical therapy, occupational therapy, post-surgery in-home care, and so much more! Check out our website to learn more about our services, to read about Nova HHC, or to contact us for care!